Society has two indispensable professions. One is the healer or call it by any other name, doctor, surgeon, herbalist etc. This is the professional who keep takes care of our health. Physical health, after all, is one of the most important aspects of life. The second is the teacher. You can call it by a lot of names, professor, teacher, tutor. Teachers look after the other aspect of human and ethical health. A teacher teaches a man to be healthy in his perception. To think and be a constructive critic of the world he sees around him. That’s how ethics come into play and how men learn to exist better in a social and national context. Teachers are often taken for granted, which is a sin. Teachers not only help you pass examinations; they build your character. Of course, we mean the great ones. Having a healthy mentor can be the difference between a failure and a future leader. As a matter of fact, almost every visionary has had the encouraging hand of a good mentor on his/her shoulder. Teachers are respected all around the world. For example, in India, there existed a great tradition of washing the feet of the teacher in a religious ritual and drinking a few drops of the water. It was called the charanamrita ritual; literally the elixir from the feet. In New Zealand, the Maori ethos has lived in harmony with the immigrant European one in recent times. Many Maori rituals have become the mainstay of the culture. Only pretty recently, the country’s leader Jacinda Ardern named her daughter Neve te Aroha, “love” and “snow” in different forms in Maori. New Zealander MPs swear in the House of Parliament, using Maori phrases. So it is only fitting to pay respects to a great mentor using a Maori ritual. North Boys’ High School in Palmerston, New Zealand, has had a great teacher in John Adams. He spent three decades as a teacher there and later as a guidance counselor. It would be a gross understatement to say that he changed a few lives. As a matter of fact he probably changed two generations of lives in his long illustrious tenure. It is only fitting that when he left, a spectacular show be put up. You would expect a play or a musical concert, no? Not in New Zealand you don’t. Rugby fans who have watched the New Zealand national team would know what a haka is. It is an ancient military dance of the Maoris who were prized fighters even during World War II, getting their own battalion which saw action in North Africa. 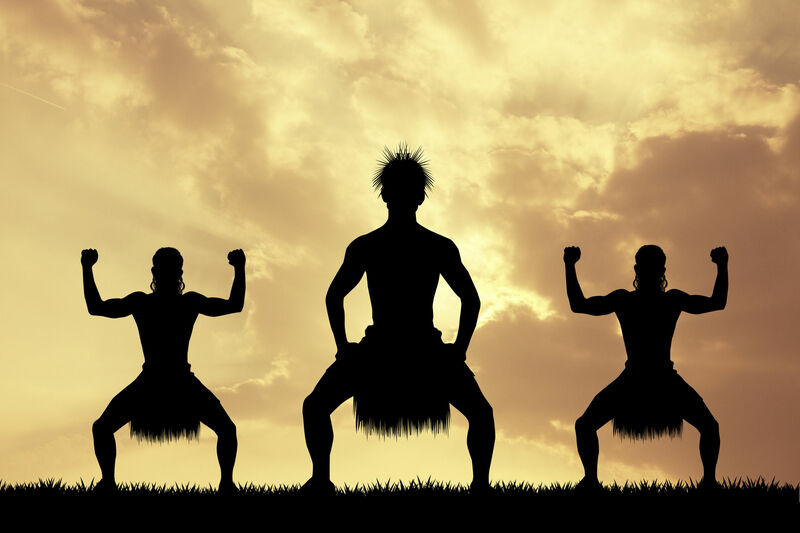 The Haka has always been a part of their lives. Coming in different forms, the aggressive dance comprises foot stomping, thigh slapping and shouting. Might seem like something dangerous, it was used to call enemies to battle; but also to regard elders of the tribe especially prized warriors when they died or retired. The students who owed their education to their teacher Mr. Adams, did the iconic haka for him in the assembly hall. The video has been up on YouTube. Do not forget to check it out. It will give you chills.
? Tiny Chimp And Mastiff Become Best Friends Why An Education In Visual Arts Is The Key To Arming Students For The Future ?